There were many changes in the social customs and day-to-day life of millions of Americans during the administration of President Calvin Coolidge. Many young people began to challenge the traditions of their parents and grandparents. They experimented with new ideas and ways of living. People of all kinds became interested in the new popular culture. Radio and films brought them exciting news of court trials, sports heroes and wild parties. The nineteen twenties also was one of the most active and important periods for the more serious arts. Writers, painters, and other artists produced some of the greatest work in the nation's history. This week in our series, Kay Gallant and Harry Monroe take a look at American arts during this exciting period. KAY GALLANT: Most Americans approved strongly of the economic growth and improved living conditions during the nineteen twenties. They supported the conservative Republican policies of President Calvin Coolidge. And they had great faith in the country's business leaders and economic system. However, many of the nation's serious artists had a different and darker view of society. They were troubled deeply by the changes they saw. They believed that Americans had become too interested in money and wealth. These artists rejected the new business society. And they also questioned the value of politics. Many of them believed that the first World War in Europe had been a terrible mistake. These artists had little faith in the political leaders who came to power after the war. They felt a need to protest the way the world was changing around them. HARRY MONROE: The spirit of protest was especially strong in serious American writing during the nineteen twenties. Many of the greatest writers of this period hated the new business culture. One such writer was Sinclair Lewis. He was the first American to win the Nobel Prize for Literature. Lewis wrote about Americans living in the towns and villages in the central part of the United States. Many of the people in his books were foolish men and women with empty values. They chased after money and popularity. In his famous book "Main Street," Lewis joked about and criticized small-town business owners. Social criticism also was central to the writing of the newspaper writer H. L. Mencken, from the eastern city of Baltimore. Mencken considered most Americans to be stupid and violent fools. He attacked their values without mercy. Of course, many traditional Americans reacted strongly to such criticism. For example, some religious and business leaders attacked Mencken as a dangerous person whose words were treason against the United States. But many young people thought Mencken was a hero whose only crime was writing the truth. KAY GALLANT: The work of Lewis, Mencken, and a number of other writers of the nineteen twenties has been forgotten by many Americans as the years have passed. But the period did produce some truly great writing. One of the greatest writers of these years was Ernest Hemingway. Hemingway wrote about love, war, sports, and other subjects. He used short sentences and rough words. His style was sharper and different from traditional American writing. And his strong views about life set him apart from most other Americans. 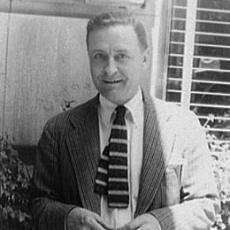 Another major writer was F. Scott Fitzgerald. Fitzgerald wrote especially about rich Americans searching for happiness and new values. His books were filled with people who rejected traditional beliefs. His book "The Great Gatsby" is considered today to be one of the greatest works in the history of American writing. A third great writer of the nineteen twenties was William Faulkner. Faulkner wrote about the special problems and ways of life in the American south. His books explored the emotional tension in a society still suffering from the loss of the Civil War sixty years before. Some of Faulkner's best books were "The Sound and The Fury," "As I Lay Dying" and "Absalom, Absalom." Like Hemingway, he won the Nobel Prize for Literature. HARRY MONROE: The nineteen twenties also produced the greatest writer of theater plays in American history, Eugene O'Neill. O'Neill was an Irish-American with a dark and violent view of human nature. His plays used new theatrical methods and ways of presenting ideas. But they carried an emotional power never before seen in the American theater. Some of his best known plays were "Mourning Becomes Electra," "The Iceman Cometh" and "A Long Day's Journey into Night." A number of American writers also produced great poetry during the nineteen twenties. Probably the most famous work was "The Waste Land," a poem of sadness by the writer T. S. Eliot. KAY GALLANT: There also were important changes in American painting during the nineteen twenties. Economic growth gave many Americans the money to buy art for their homes for the first time. 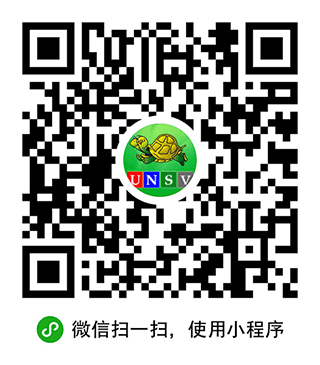 Sixty new museums opened. Slowly, Americans learned about serious art. Actually, American art had been changing in important ways since the beginning of the century. In nineteen-oh-eight, a group of New York artists arranged a historic show. These artists tried to show real life in their paintings. They painted new kinds of subjects. For example, George Bellows painted many emotional and realistic pictures of the sport of boxing. His work, and the painting of other realistic artists, became known as the "Ash Can" school of art. Another important group of modern artists was led by the great photographer Alfred Stieglitz. This group held a major art show in nineteen thirteen in New York, Chicago, and Boston. The show presented modern art from Europe. Americans got their first chance to see the work of such painters as Pablo Picasso and Georges Braque. The show caused a huge public debate in the United States. Traditional art critics accused the organizers of the show of trying to overthrow Christianity and American values. Former president Theodore Roosevelt and others denounced the new art as a threat to the country. However, many young American painters and art lovers did not agree. They became very interested in the new art styles from Europe. They studied them closely. Soon, Charles Demuth, Joseph Stella, and other American painters began to produce excellent art in the new Cubist style. John Marin painted beautiful views of sea coasts in New York and Maine. And such artists as Max Weber and Georgia O'Keeffe painted in styles that seemed to come more from their own imagination than from reality. As with writing, the work of many of these serious modern painters only became popular many years later. HARRY MONROE: The greatest American designer of buildings during the nineteen twenties was Frank Lloyd Wright. 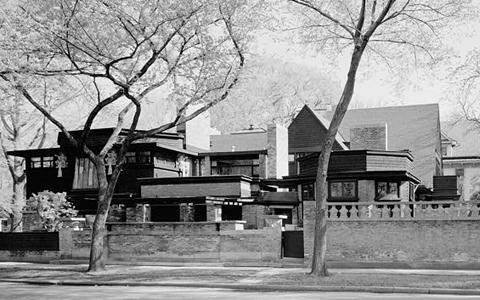 Wright believed that architects should design a building to fit its location, not to copy some ancient style. He used local materials in new ways. Wright invented many imaginative methods to combine useful building design with natural beauty. But again, most Americans did not know of Wright's work. Instead, they turned to local architects with traditional beliefs. These architects generally designed old and safe styles for buildings -- for homes, offices, colleges, and other needs. KAY GALLANT: Writers and artists now look back at the roaring nineteen twenties as an extremely important period that gave birth to many new styles and ideas. Hemingway's style of writing continues to influence American writers. Many painters say the period marked the real birth of modern American art. And architecture students in the United States and other countries now study the buildings of Frank Lloyd Wright. The changes in American society caused many of these artists much sadness and pain in their personal lives. But their expression of protest and rich imagination produced a body of work that has grown in influence with the passing years.